Specially tooled up machines for manufacturing cylinder liners with consistently high accuracy and productivity. CNC machining and Center less Grinding to ensure correct fitment in the engine block. Internal honing on imported automatic hydraulic honing machines using custom made abrasive sticks to achieve high precision and optimum quality of the bore. 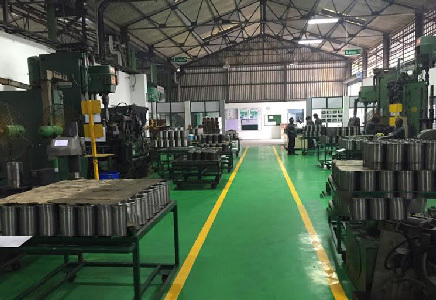 Facility for manufacture of hardened and tempered cylinder liners by marquenching process. Strict adherence to process parameters while machining, 100% inspection for critical parameters.